Is vitamin E good for your hair? Know the risks and side effects. Vitamin E for hair: A winner? Stock image. 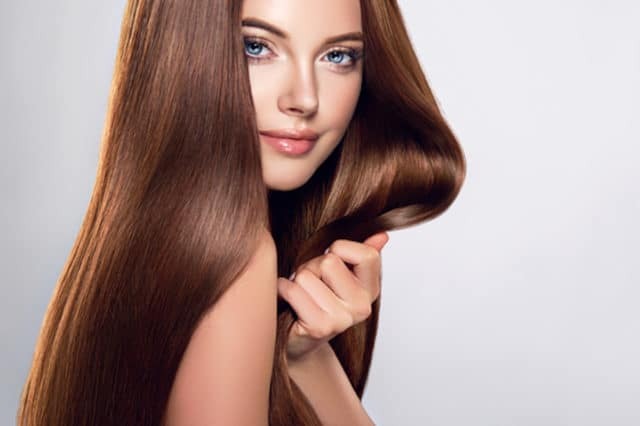 Vitamin E for hair: A winner? Know the risks and side effects associated with vitamin E as a regiment in maintaining healthy glowing abundant hair. Hair-fall is one of the most common problems faced by both men and women. Losing fistful hair is an issue most us face, but it can become permanent if preventive measures are not taken. Meeting people telling you they had thick hair that reduced over time has become widespread. With all remedies that prove to cure this issue, only a few are effective. Vitamin E is an excellent remedy due to its antioxidant property. Vitamin E has been used to protect the skin against aging, inflammation and sun damage. It is found in various vegetables, oils and almonds. Alpha-tocopherol is the common form of this vitamin. It is a fat-soluble vitamin that offers myriad of health and beauty benefits and gives a luminous glow to the hair. Though its deficiency is rare, some people are prone to vitamin E deficiency, like infants and people with fat malabsorption. When it comes to choosing the most competent vitamin E supplement, Evion 400 is the most preferred choice. This supplement is available in the form of soft gel capsules that is green in colour. Overall, it is a safe supplement; Evion 400 side effects are rare after taking large doses of the medicine. As an all-in-one remedy, there are some precautions that should be taken while taking these capsules. Let’s take a look as to what precautions should be taken while taking these capsules. Although the side effects of vitamin E are rare, if consumed in large doses, it can lead to allergic reactions like rashes, fatigue and graying of hair. If any of these symptoms occur, consult with your doctor immediately. These side effects can be reversed if you stop the medication of vitamin E.
Mix Evion 400 with some olive oil to reduce the stickiness and increase efficacy. Before taking the supplement for regular use, go for a patch test. Make sure to consult your doctor before using the supplement and discuss all medications you are taking. Also, best to mention your present health condition and upcoming surgeries if you are going to take any. It is possible that vitamin E supplements might not benefit some people causing them nausea, cramps and fatigue. As a fat-soluble vitamin stored in the body, and excess is not eliminated through the urinary tract. This nature can cause the capsule to accumulate to toxic levels over time, so there are chances to cause an overdose of the medicine. Excess of vitamin E can cause excess bleeding, blurred vision and gonadal dysfunction. Mentioned below is the list of side-effects caused by vitamin E.
Here is a list of certain drugs that can interact with vitamin E, therefore should be avoided. Alkylating agents and antitumor antibiotics: There is a risk that high dosage of vitamin E can affect these chemotherapy drugs. Anticoagulants: Use of vitamin E with these drugs and supplements can reduce blood clotting and increase bleeding. Cytochrome P450 3A4 (CYP3A4) substrates: Caution should be taken while taking vitamin E and other drugs taken by enzymes, like omeprazole. Statins and niacin: If vitamin E is taken with statins, it can benefit patients having high cholesterol and reduce the effect of niacin. If you are going to have surgery, stop taking the supplement at least 2 weeks before. Speak to your doctor about vitamin E use and if you are able to have the procedure to open blocked arteries and improve the blood flow to the heart muscles. It is always suggested to consult a doctor before taking vitamin E capsule. Try to get as much vitamin E possible from natural sources as it is found in many foods. Pregnant women should not use the capsules unless it gets absolutely necessary. People suffering from active bleeding disorders like peptic ulcer and hemophilia, should not use the medicine. Special caution should be exercised for people suffering from vitamin K deficiency. Use of vitamin E has shown to increase the risk of prostate cancer. Vitamin E can be a great supplement for your beauty regimen, and you need not buy an expensive product for that. The foods in your kitchen are enough! Although you can find plenty of benefits of this capsule, it is always suggested to speak to your doctor before taking this supplement.